Our phytocannabinoid rich (PCR) hemp extract THC free, contains all cannabinoids and terpenes naturally present in hemp, except the Delta 9-Tetrahydrocannabinol (THC). The abscence of pyschoactive substance allows our hemp oil a global distribution on international markets with zero tolerance for THC. Our extraction and refining process uses an exclusive and patented technology which preserves all phytocannabinoids, terpenes and plant lipids, while eliminating unwanted THC and chlorophyll. A rigorous testing scheme using chromatography and third-party tests is followed to ensure that critical properties of our hemp extract such as taste, color, strength and purity, remains constant to always satisfy our customers for the manufacture of hemp extract based finished products. Shelf life : 24 monthes. Store in a closed container at room temperature, away from heat, light and moisture. CBD is pure, it it crystallizes. Heat the extract to 70° C and homogenize before testing and formulating the product. Bulk : 1, 5, 10, 25, 50, 100 kg. Our pure hemp extract is the foundation of our other raw materials and finished products. 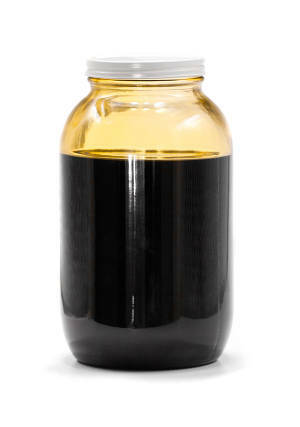 Our raw material oil soluble, an isolate with an extreme concentration of cannabidiol of more than 99.9% ! Crumble with 85% cannabidiol CBD. This product is not intended to diagnose, cure or prevent any disease and has not been evaluated by the FDA.